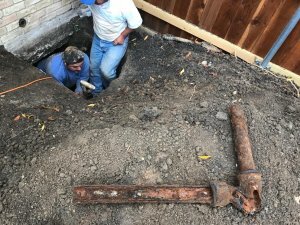 $12,000 In Unexpected Plumbing Repairs! How Does This Happen with My Level of Experience? Well it happens to the best of us! Even though Elvis Buys Houses has rehabbed tons of single family homes… mistakes are still made along the way. Most mistakes that I make at this point in my house buying/rehabbing career are usually minor, so just when I thought I’ve been in the business long enough to not make any significant mistakes ultimately killing my profit in a rehab….Guess what? Bam! I got nailed by a Slab Leak that turned out to be a real costly plumbing slab leak nightmare! A Realtor friend of mine called me about a lead on a Collin County property. 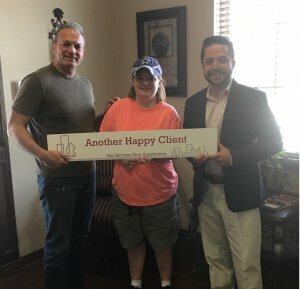 This particular area is a hot market so when he threw the lead at me I immediately jumped on the opportunity and met with my Realtor friend and his client at the prospects property. I did my usual thing as far as the routine inspection goes. During the walk through of the house I noticed some minor foundation issues so I inquired about the history and/or if any previous foundation work had been done on the property. The sellers were seniors and lived in the house forever. They raised their kids in the house and had a lot of history there. The house was dated but very well kept and the sellers did a good job of record keeping. As requested the sellers happily obliged and showed me paperwork for a previous foundation repair. They also provided a pier map and the warranty for all the work that was done approximately ten years prior by a company that was no longer in business. Ten years ago is a long time and there was some obvious movement that has occurred since. At that point I was pleased with the detail and history they provided! I then asked them if they had a plumbing inspection done as well. They happily pulled out a plumbing inspection report that was initiated about 12 month prior to my visit. The inspection report was good, it was completed by a professional service and the house passed without issue. After I purchased the house I immediately asked my General Contractor to address the foundation problem. They did so and installed a minimal amount of piers, seven total. All within a location of the house that was mostly garage and utility room. I always inspect the plumbing after foundation work is completed but this time it got missed. How? I hired a professional General Contractor to handle this entire rehab. An assumption on my behalf is that this contractor would be thorough and take care of the basics… like a plumbing inspection after the piers were installed. After all, this General Contractor chased me for my business for a couple of years…. this was their first job performing as the General Contractor for me. Well we did have an obvious slab leak that was repaired by the General contractors plumbers and as a result I was under the impression that the GC completed their inspection and rectified the any/all leaks within the property. Mistake #3 – The rehab of the house was completed and all new flooring was installed. 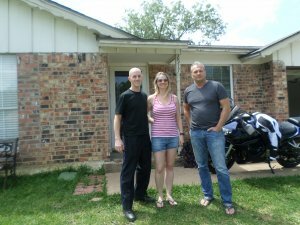 The house was staged and placed on the MLS for it’s final sale. At this point once the selling process is initiated I like to have all warranty and/or inspection based documents ready for review by potential buyers. I called the General Contractor to attain the plumbing inspection report. I requested the plumbing inspection paperwork from the General Contractor and to my surprise they didn’t have any plumbing inspection paperwork to provide. What??? I don’t need to get into the specifics regarding how I felt about this contractor at this point so I’ll just elaborate on my course of action. I knew I needed to have a plumbing inspection available for buyers so I now jumped in and handled this process myself. I requested the General Contractor’s plumber to come out and perform all the required testing. To my surprise the report came back with a repair estimate of $13,000. I immediately met the plumber at the property and went over the results of the inspection with him in detail. He ran his camera down the pipes once again to show me a few of the issues. I didn’t feel the plumber was being totally 100% honest with me. At this point I’m upset at everyone involved! I also have a potential un-budgeted $13,000 repair that is weighing very heavily on my mind… Yikes! I felt as though the best course of action is to reach out to another plumber. A plumber that I’m more familiar with. A plumber that did numerous inspections and repairs for me in the past therefore I’m pretty comfortable with this guy! This plumber found issues as well but his repair estimate was $4,500, not $13,000. The $4,500 was still not in the original budget but either way I felt a sense of relief because now I didn’t need to spend $13,000, only $4,500. Stuff happens! Right? My Newly Found Luck Stopped There! I chose to move forward and tunnel under the house and not destroy the new hardwoods and tile recently installed. Once the plumber completed his initial scope of work, he tested the plumbing system and it failed again and as a result further leak detection and isolation was required. The plumber did uncover additional leaks and therefore further tunneling was needed. By the way tunneling under the slab is not cheap (usually $100.00-$150.00/ft) but tunneling saved all my newly installed flooring. Mistake #5 – Installing all new flooring without a plumbing inspection report that passed. Low and behold we ended up going through the repair and test process a few more times. A crack in the cast iron piping would be found and repaired. After the repair we would perform additional testing only to find additional leaks. At the end of the day we tunneled under the house a total of approximately 60 linear feet. That’s a lot of digging and a lot of added expense! The end result was a little under $12,000 in repairs. The cost could have been much higher (mostly time) but the plumber felt he error-ed himself by not initially locating all the leaks therefore he was gracious enough to eat some of the plumbing and digging expenses. I understood his pain as cracks/leaks within cast iron piping can be obvious but also very hard to observe visually. Cast iron piping, once aged, gets ugly, rusty and corroded over the years. It’s actually not a bad call to budget for complete replacement of all cast iron piping when buying these older houses that used with cast iron plumbing under the slab. Houses were built using cast iron plumbing up until the mid-to-late 1970’s therefore these homes are over forty years old now. 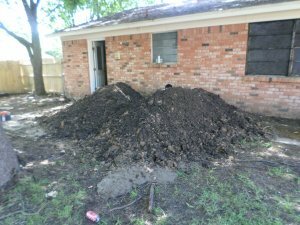 Be careful when purchasing a house that needs or has had foundation issues. Have the plumbing inspected after the foundation work has been completed and be present during the inspection. Make sure the plumbing inspection involves static (remove toilets) testing. A visual inspection utilizing the proper cameras that fit in the larger 3″ or 4″ drains as well as the smaller diameter 1.5″ sink/utility drains (two separate cameras). Lastly perform pressure test on the supply side. Be on site during the inspection and ask a lot of questions! It’s actually very wise to hire a professional company that specializes only in leak detection and location. Not a “do-it-all” plumber that has or rents just one camera for the larger sewage pipes and does not have all the proper pneumatic test balls or take the proper time to perform an adequate and thorough inspection. I’m not saying you can’t have success using a regular plumber but from my experience the folks that specialize in leak detection & repair are more thorough and faster and therefore they might save you money in the long run. The downside is that the professional leak detection guys are usually all booked up with appointments and their schedule might not allow for an immediate inspection. I’ve had to wait as long as two weeks! Most of these specialized leak location companies will do the repairs but will not tunnel under the slab, instead they open the concrete slab utilizing jack hammers for each leak located. I’ve had houses were there were as many as four different leaks and penetrations through the concrete. I’ve had houses with more than that too and therefore we chose to tunnel…. I’ve had houses with 6 or more leak locations. Not pretty! Going forward I can say this wont happen to me again! But that being said, every house that I refurbish certainly has it’s own set of problems with it’s own lessons to teach you. Always be thorough and be involved throughout the inspection process. Never assume a contractor is doing everything the way it is supposed be done. It will likely cost you additional dollars if you choose to let contractors have total autonomy and you assume they are doing things properly. Be involved! 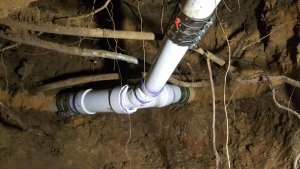 I hope this post helps you to understand the significance of initiating the proper level of inspection on plumbing lines under the house, as well as making sure your contractors are initiating the proper inspections and relevant permits. If you are relying on a general contractor to do the job right then make sure you are involved! A certain level of Micro-Management is required when the refurbishment of your investment has been turned over to a third party contractor. 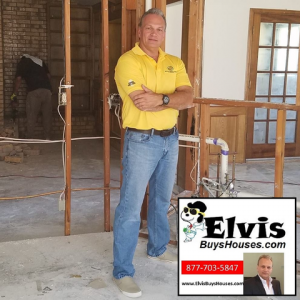 Elvis Buys Houses is in the business of helping others. Please reach out if you need assistance or have questions regarding slab leaks or plumbing contractor related questions or concerns. We are not plumbers but we are very experienced dealing with plumbing issues and related contractors.